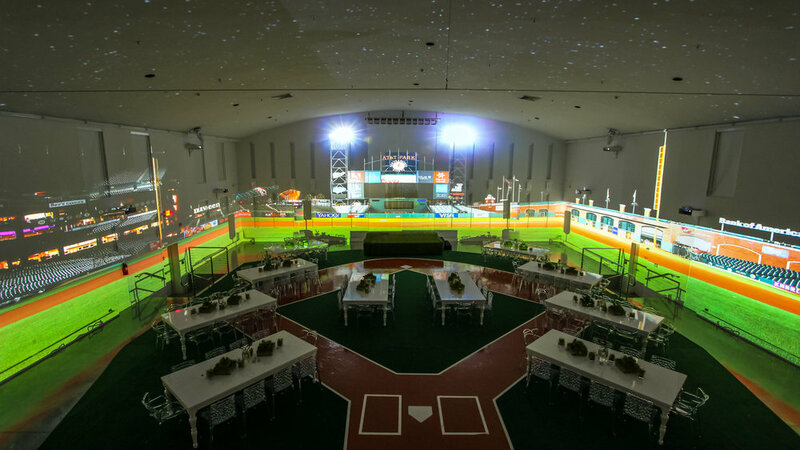 The Temple House was delighted to host a full sensory Gala dinner for the 2017 Major League Baseball Allstars Game in Miami. 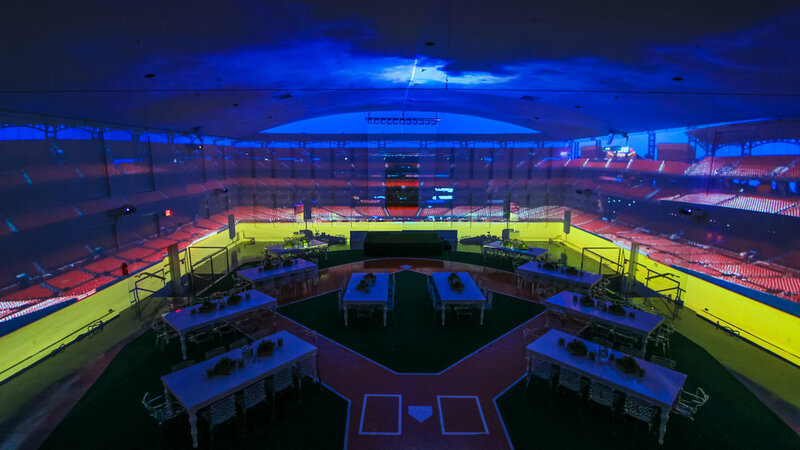 The United Projection Team worked with in-house stadium photographers for 6 iconic stadiums around the country, to design custom 360 content to wrap the grand room in a fully immersive way to bring people inside each stadium. The stadiums projected were: Fenway Park Boston – BOSTON REDSOX, The Busch St. Louis Stadium – THE CARDINALS, The LA Dodger Stadium – THE DODGERS, AT&T Park San Francisco – THE GIANTS, Oriole Park at Camden Yards Baltimore – THE ORIOLES, and The Yankee Stadium New York – THE YANKEES, and the Marlin's Park - The MIAMI MARLINS. In between each stadium guests took a “plane ride” and landed in the next city. 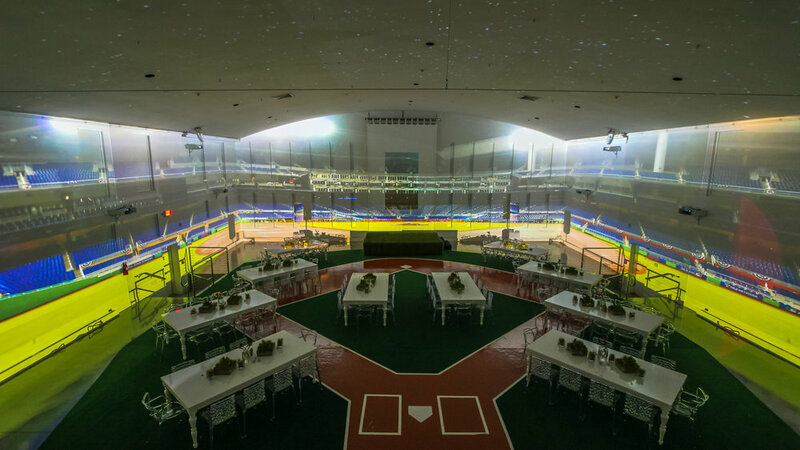 A Green ‘turf’ was laid out under dining tables to make the immersive experience even more incredible. The 2017 Major League Baseball All-Star Game was the 88th edition of the Major League Baseball All Star Game. The game was hosted by the Miami Marlins and was played at Marlins Park on July 11, 2017. It was televised nationally by Fox. The game was the first since 2002 whose outcome did not determine home-field advantage for the World Series; instead, the team with the better regular-season record will have home-field advantage.